High Speed BBs are the highest quality airsoft BBs on the market. Used by professional airsoft teams and amateur players a like! All of the airsoft BBs we produce are biodegradable, earth friendly, and have low environmental impact. 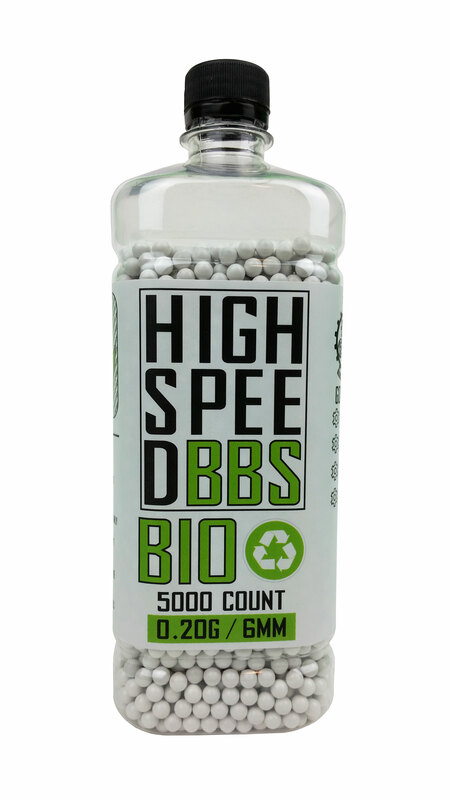 We currently have bottles 0.20 gram BIO BBs in stock. Our heavier weight BBs are in production and are coming soon!